Brian Mumba Kasoka Bwembya (born November 12, 1986) better known as B Flow (sometimes written as B'Flow or B-Flow), is an Afro-Dancehall and Hip Hop Artist, Media Entrepreneur, Non-political Social Commentator, Social Justice Advocate, Part Time Radio Presenter, Peer Educator and Founder of Music For Change Initiative. He is also the current Chairperson of the HIV/AIDS and Social Commentary (HASC) committee of the Zambia Association of Musicians (ZAM). He is also the global ambassador in the fight against HIV/AIDS for the American organization AIDS Healthcare Foundation (AHF) and also the first Zambian artist to launch an album at the US Embassy. The event was proudly powered by the United States  government through the embassy. The stage name B Flow was inspired by numerous praises from people who loved his 'flow'. B Flow also took a new direction with his music, changing his genre to what is now known as “KaliDanceHall” ( A mix of traditional Zambian Kalindula music and Dance Hall ). In November of 2016, the United Nations Population Fund (UNFPA) named B Flow as on of the 16 voices of activism against gender-based violence around the world. B Flow was born in Kabwe on 12 November 1986. He was raised by his grandmother Matilda Chiti-Byrne and his mother Mirriam Mulenga Mumba Byrne, a policewoman. His father Mathews "Mizzy" Kasoka was a football coach for Kabwe Warriors football club. B flow cames from a family full of renowned Zambian musicians like Chris Mbewe of The Great Witch Band, Anna Mwale of The Mwale Sisters and Ras Willie. B Flow's grandmother Matilda was a teacher by profession and she taught him how to read and write English which then became his favourite subject. When he was 6 years old, he enrolled at Kasanda Malombe Primary School. In 2nd Grade, he joined the school Boy Scouts for a few months. At the age of 8 he and his friends played a small band by turning pots and buckets into drums and making Banjos(non-electric guitars) using tins, planks and strings. Among that band B Flow was the only one who is now a professional musician. Brian started out as a member of the School Boys' Scout Club in Grade 1 at Kasanda Malombe Primary School in Kabwe. He left the club shortly and became a basketball player which his uncle Frank Byrne introduced him to and played for fun for about 7years. In his 4th Grade, Brian and his mother moved to Serenje with where he joined the poetry club at Serenje Boma School and participated in competitions; reciting poems. The following year Brian learned how to beat the African drum and became a drummer and singer in the school cultural group. He was also one of the only two male dancers in the group. At the age of 11 he started listening to reggae music a collection that his mom owned and his love for reggae muisc started to grow with likes of Bob Marleybeing hits of his early childhood. 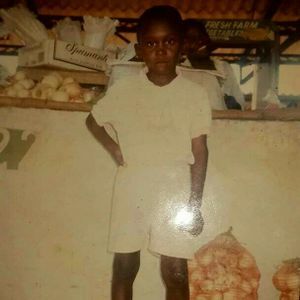 In 7th Grade, B Flow and his brother Terence Sampa were transferred back to Kabwe where they attended Broadway Primary and Basic School and he was always punished for singing and drumming in class by his class teacher at his new school. At age 13, he formed a group called Natty Boys. The group only performed at one party and disbanded because B Flow was the only member who had the ability to compose songs and the confidence to sing in front of people, while the rest of the members were shy. He then formed Hot Kays which consisted of B Flow and Zed Pride's Ron Kay, the duo dedicated their time learning the art of song writing, rhyming and arranging lyrics B Flow then known as Attic B, specialised in Rap and Ragga while Ron Kay specialised in R&B. In 8th Grade, he developed strong interest in civic education and joined the Child Rights club at school. 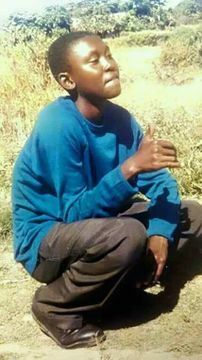 During his 10 Grade at Kabwe High School Brian joined the Anti-AIDS/Drug Club the same year, where he actively participated in quiz and singing and that the time he gave hime saelf the name B Flow a combition of his first name letter of his name and the word flow. He served in the disciplinary committee of the school library and joined the school Press Club where he became Chief Printer. In 3rd term of Grade 10, Brian was elected vice president  for the Anti-AIDS/Drug Club because of his dedication to counselling his fellow pupils who used to smoke Marijuana and drink alcohol. As President, he mobilise his peers and teach them about sexual reproductive health, HIV prevention and the dangers of taking drugs. He also raised awareness on HIV/AIDS through song and led the club during candlelight walks and visits to AIDS hospices. B Flow was later trained by the Kabwe Adventist Family Health Institute(KAFHI) and the Students Partnership Worldwide (SPW) as a peer educator. His club won a number of quiz & talent competitions(Music, Drama and Poetry) on AIDS & Drug awareness in central province. B Flow always performed at most of the school functions which included Closing Ceremonies, World AIDS Day event, Debate Competitions and other school parties. After his final year High School B Flow moved to Lusaka to live with his uncles and enrolled into college. He studied Marketing and Social Science at the National Institute of Public Administration and University of Zambia. Whilst in University, B Flow was selected for a Peer Educators' training, sponsored by the Society For Family Health(SFH) in 2008. In 2012, B Flow started to use music to continue his peer education and influence social change. B Flow's musical influence came from musicians like Nasty-D, DaNNY, Sean Paul, Elephant Man, Beanie Man, MC Wabwino, Black Muntu, Master Flo, Sam Kuli and Alubusu. B Flow and Queen Latifah led 5,000 people in a march past with AIDS Healthcare Foundation at the Keep The Promise Concert & March in Durban in July 2016. In February 2017, B Flow released the video for his song “MAMA (Genesis Of My Story)” Directed by Adam “bttags” Battaglia and Stacy Fong From Hollywood, Joel ‘DMV Tatoos’ and George Okudi From Washington DC, QBick, Lawdak (N.X.T Solutionz) and Terence “Pictures” Sampa from Zambia. B Flow has been using music to advocate against issues affecting communities such as inequality, gender-based violence and HIV/AIDS. 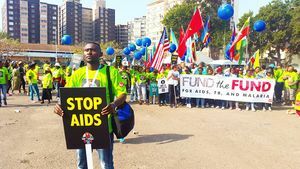 In July 2016, he and Queen Latifah led 5,000 people in a march past with the AIDS Healthcare Foundation at the Keep The Promise Concert & March in Durban, South Africa. The concert was a reminder to the world leaders that AIDS is not over and there is need to continue and to increase funding for its prevention and treatment. President Barack Obama gave special recognition to B Flow when delivering his speech to the 2015 Mandela Leadership Fellows on August 3 in Washington, D.C. President Obama spoke highly of the artise for using his music to advocate against gender-based violence and to educate youths on HIV/AIDS.
"" And I know you’ve been busy. Over the past few weeks, at schools and businesses all across America, you’ve been taking courses, developing the skills you’ll need to make your ideas a reality, so that you're able to continue the great work that you’re already doing, but take it to the next level. That’s what Brian Bwembya of Zambia plans to do. Where’s Brian? Where is he? So Brian uses music to advocate against things like gender based violence and educate youths on HIV/AIDS . While in the US he has learnt about our health care system, met the Founder of the American H .I. V Organisation and now he plans to start a record label for music about social change. So Brian we are proud to be your partner "
"" Woops! Did 3 interviews today; Voice of America (VOA), US National Public Radio (NPR) and CSSI. What have you guys been up to? Let's chat…Chant it on #MusicForChange ""
During the launch of his fifth album, Dear Mama, B Flow also launched his "Go Out and Vote" campaign phase II with his partner, Young Women in Action. To deliver the voter education message to the youth ensured that the targeted voters be ready, willing, and able to participate fully in the 2016 election process in Zambia. The Go Out To Vote  project aims at addressing voter apathy amongst young people in Zambia by encouraging them to register as voters, verify their details in the voter register and finally go out and vote during the 2016 elections. Triple V which stands for My Vote, My Voice, My Victory  is a voter  education project which motivates young and newly registered voters to go out and vote in the August 2016. Triple reaches out to young voters through music and social media. The project is currently working with B Flow, Kan 2 and Dj 800 in undertaking roadshows. During the roadshows, the artists sensitise young people on the important of participating in elections. 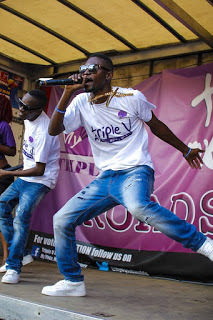 The campaign has been a successful program but in 2015 while in Mongu B-Flow and fellow Triple V members got some negative response as some fans eneded up crashing B-Flow's car during the aftermath of the show. In 2015 the United States Embassy in Zambia, selected B Flow to represent Zambia in President Obama's Young African Leaders Initiative ( Mandela Washington Fellowship ). He participated in the US government sponsored program for 3 months in different US cities. So Brian uses music to advocate against things like gender based violence and educate youths on HIV/ AIDS. While in the US he has learnt about our health care system, met the Founder of the American H .I. V Organisation and now he plans to start a record label for music about social change. So Brian we are proud to be your partner "
"" Woops! Did 3 interviews today; Voice of America (VOA), US National Public Radio (NPR) and CSSI. What have you guys been up to? Let's chat…Chant it on #MusicForChange  ""
During the program 44th United States President Barack Obama addressed over 700 young Africans and  US government officials and made a speech in which he endorsed B Flow   for his excellent work in using his music to advocate against gender based violence and educating youth on HIV/AIDS. President Obama also announced the formation of B Flow's record company. B Flow is first artist in the world to be endorsed  by a sitting US president publicly in an official speech. Obama's Young African Leaders Initiative (YALI), also awarded B Flow a highly competitive Professional Development Experience (PDE) to work in the American music industry with US company, Okayafrica, in New York. American organisation AIDS Healthcare Foundation (AHF)  also appointed B Flow as global ambassador in the fight against HIV/AIDS. He is part of the organization's global 20 by 20 Campaign.